The Oswestry and Border Counties Advertizer, in partnership with Oswestry Town Council, is hosting the inaugural 2017 Community and Business Awards, and the Jools Payne Partnership is lending its support. The Awards aim to highlight teams, individuals and businesses worthy of recognition, and as such cover a comprehensive list of categories. 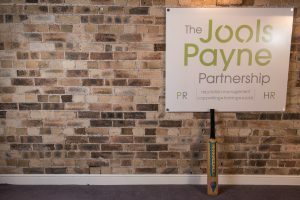 The Jools Payne Partnership is delighted to be the official sponsor of the Small Business Award, a category for businesses with 10 employees or fewer. The Small Business Award will be judged on the ability to provide high quality products, uphold great client/customer service, and demonstrate in-depth marketing acumen and innovatation. Jools said: “As a former Chair of Oswestry Chamber of Commerce and having operated in, and represented great Oswestry businesses ourselves for more than a decade, I am well aware that we have some truly fantastic small companies trading locally, nationally and even internationally.